Parag Khair, an IT consultant with experience in IT offshoring who lives in Toronto is visiting Pune and will give a talk on how small and medium IT companies from India can target the North American market, at 4pm on Saturday, 20th August, at 7th floor, SICSR, (Symbiosis Institute of Computer Studies and Research, near Om Market, Model Colony). Although the focus is North America, the topics discussed will be, to an extent, applicable to other regions also. Addendum – Macroeconomics view – will it change the game? Parag has done his Engineering and MBA from Pune and since then has around 20 years of experience in various industries spanning manufacturing, stock trading, IT, etc. For the Last 10 years he has lived in North America, worked with leading Indian IT exporter (Infosys) on various assignments all over the globe including starting and growing the business in Canada. Currently, he is also into independent IT consulting with the focus on revitalizing IT function through the combination of Agile, Offshoring, PLM, Cloud and Social Media. 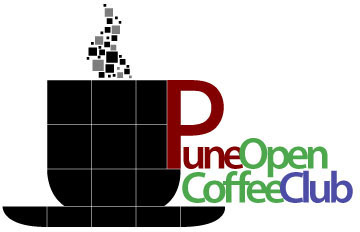 This Saturday, 7th November, the Pune Open Coffee Club will meet to discuss an important issue facing many of Pune’s small startups. How can a small startup with limited funds sell effectively in the US market? First we’ll start with a couple of early achievers – Pune startups that launched on the world stage, with the entire world watching them: Dubzer, which launched at DEMOFall’09, and Onion.tv which launched at TechCrunch50. We will follow that up with a panel discussion on the details and mechanics and logistics and the strategy and the tactics of enterprise sales in the US – with panelists who have lots of experience in this area. Read on for details. This event is free for all to attend, and there is not registration required. So if you know someone who would benefit by this, please forward this article to them. Dubzer, a SaaS offering that allows publishers to quickly and easily create translated versions of their websites without requiring any technology development or software changes, debuted at the AlphaPitch event at DEMOFall ’09. We have covered details of this here. Santosh will talk about the whole experience, how they got in, how they prepared, the expenses, and the benefits. Onion.tv, another SaaS offering that allows publishers of video content to add tags, notes, tables-of-content, and other rich meta-data to their videos, was selected for the TechCrunch50 DemoPit. We covered the details of that here. Nilesh Diane will talk about their experience, and other Pune startups can get a feel for what they need to do to be in the same situation. We have three panelists – Abhijit Athavale, Devendra Deshmukh, and Amit Paranjape – each of whom have over 10 years of experience doing enterprise sales in the US. Each panelist will speak for about 15 minutes about specific topics related to the theme (as given below), and answer questions from the audience. After that we’ll have about 30 minutes of a general Q&A where startups can ask any questions to the panelists. Devendra Deshmukh, will talk about “How to set up a sales channel; How to increase your reach; and also talk about his early experiences in this area while setting up eZest.” Devendra is a founder and executive director of e-Zest Solutions Ltd., e-Zest Inc. & e-Zest (UK) Ltd. He is also a co-founder of Webizus Technologies, the IT (Information Technology) consulting company. He has experience of working with Indian software companies in both the operational and business development functions. For more, see his linked-in profile. Abhijit Athavale will cover: “How to hire a Sales Rep; Why and how much time to spend in the field; The difference in sales and distribution and why it matters.” Abhijit is President and CEO of Markonix, and a high-tech marketing consultant. He has 16+ years of high-technology industry experience. Prior to Markonix, Abhijit spent over 11 years at Xilinx, Inc. in various engineering, applications and marketing roles. In his role as a marketing consultant, he has held executive management positions at Taray, Inc and Sanved DA. He has a masters degree in electrical engineering from Texas A&M University and a bachelors degree in electrical engineering from University of Pune. He is an accomplished speaker and author of several publications including a book. For more, see his linked-in profile. Amit Paranjape will talk about: “The dynamics of enterprise sales (understanding your customer, his ecosystem, his business) and the kinds of problems you run into if you don’t understand all of this.” Amit has been in senior positions with enterprise product companies for over 12 years, most of it with i2 in Dallas, USA. He has extensive leadership experience across Product Management/Marketing, Strategy, Business Development, Solutions Development, Consulting and Outsourcing. For more, see his linked-in profile. The panel discussion will be moderated by me (Navin Kabra). If you have any specific questions or areas that that you’d like the panelists to cover, please send them to navin @ punetech, or leave a comment below. Practise your startup pitch, bring your business cards, mingle, portray the confidence that you don’t always feel, ask the seniors for free advice, convince the juniors that working nights and evenings for your startup will be the most fun thing they’ve ever done, and feel out your peers for potential co-founders. Ask the panelists questions that you were too shy to ask in public, practise your startup pitch, set-up follow-up meetings with potential advisors, mentors, CAs, HR outsourcers, php coders, facebook app developers, potential angel investors, and people who will help you get in touch with potential angel investors. Or just talk about beer, or Pune’s new microbrewery, or ask around for new and interesting restaurants in town, practise your pitch, and find new and interesting people to be friends with. And, did I mention, practise your pitch? All of this…possible only at a Pune Open Coffee Club meeting. Be there. 4.00pm – 4.50pm – Anuj Khurana, “How to build traffic for your online product? PurpleTrail.com – a case study”. 5.00pm – 5.50pm – Alok Kejriwal, CEO, Games2Win “My Games2Win story”. 6.00pm – 6.50pm – Abhishek Goyal, Accel Partners “What Accel looks for in Startups”. 7.00pm – 8.00pm – Networking. The event will start at 4pm sharp. Abhishek Goyal represents Accel India Venture Fund and will walk the OCC through the critical aspects of Businesses from an Investor’s perspective. Accel India Venture Fund works with early-stage Business in Web and Mobile technologies. Accel provides both Investment and Venture Development acumen for their Portfolio companies. Alok Kejriwal is a serial entrepreneur and founded Contests2win (c2w) in 1998. Alok and c2w have gone on to create 3 more exciting businesses – Mobile2win in China and India, Media2win and Games2win. Alok will talk about the Games2Win story, about how Games2Win hit the sweet spot on the web. Alok also mentors first-generation Entrepreneurs in building Strong Brands, Strategy, Funding and several other areas. Anuj Khurana will present his first hand experience with PurpleTrail – an online invitations and party planning website (focused on the U.S market). 6 months into going live; the site has tried all the tricks in the book with varying degrees of success. Today it is growing at a steady clip and is drawing hundreds of thousands of visitors a month. Though these are early days for the service it makes for a useful case study and presents the success and impact of various online marketing efforts. Anuj is Director of Products at MangoSpring, Pune. Business intelligence and analytics company SAS announced a few days back that it is acquiring revenue optimization company IDeaS. Both, SAS and IDeaS have major development centers in Pune. This article gives an overview of the software that IDeaS sells. I always found airfares very confusing and frustrating (more so in the US than in India). A roundtrip sometimes costs less than a one-way ticket. Saturday night stayovers cost less. The same flight can cost $900 or $90 (and those two guys might end up sitting on adjacent seats). The reason we see such bizarre behavior is because of a fascinating field of economics called Revenue Optimization. IDeaS software (which has a major development center in Pune) provides software and services that help companies (for example hotels) to determine what is the best price to charge customers so as to maximize revenue. The technology called pricing and revenue optimization – also called Revenue Management (RM) – focuses on how an organization should set and update their pricing and product availability across its various sales channels in order to maximize profitability. First it is necessary to understand some basic economic concepts. Poor Programmer want to take a 6am Bombay-Delhi flight to attend a friend’s wedding. He is willing to pay up to Rs. 4000 for the flight. If the price is higher, he will try alternatives like a late-night flight, or going by train. On another occassion, the same Poor Programmer is being sent to Delhi for a conference by his company. In this case, he doesn’t care if the price is Rs. 8000, he will insist on going by the 6am flight. If the airline company charges Rs. 8000 to all customers, a lot of its seats will go empty, and it is losing out on potential revenue. If it charges Rs. 4000 for all seats, then all seats will fill up quickly, but it is leaving money on the table since there were obviously some customers who were willing to pay much more. The ideal situation is to charge each customer how much she is willing to pay, but that involves having a salesperson involved in every sale, which has its own share of problems. Better is to partition your customers into two or three segments and charge a different price for each. Unfortunately, customers do not come with a label on their forehead indicating the maximum amount they are willing to pay. And, even the guy paying Rs. 8000 feels cheated if he finds out that someone else paid Rs. 4000 for the same thing. This is where the real creativity of the marketers comes in. The person in the Rs. 4000 market segment (leisure travel) books well in advance and usually stays over the weekend. The person in the Rs. 8000 market segment (business travel) books just a few days before the flight, and wants to be back home to his family for the weekend. This is why the airlines have low prices if you book in advance, and why airlines (at least in the US) have lower prices in case of a weekend stayover. This also keeps the rich customer from feeling cheated. “Why did I pay more for the same seat?” If you try saying “Because you are rich,” he is going to blow his top. But instead if you say, “Sir, that’s because this seat is not staying over the weekend,” the customer feels less cheated. Seriously. That’s how psychology works. Exercise for the motivated reader – figure out how supermarket discount coupons work on the same principle. This is the key strength of IDeaS revenue optimization software. The objective of revenue management is to allocate inventory among price levels/market segments to maximize total expected revenue or profits in the face of uncertain levels of demand for your service. If we reserve a unit of capacity (an airline seat or a hotel room or 30 seconds of television advertising time) for the exclusive use of a potential customer who has a 70 percent probability of wanting it and is in a market segment with a price of $100 per unit, then the expected revenue for that unit is $70 ($100 x 70%). Faced with this situation 10 times, we would expect that 7 times the customer would appear and pay us $100 and 3 times he would fail to materialize and we would get nothing. We would collect a total of $700 for the 10 units of capacity or an average of $70 per unit. Suppose another customer appeared and offered us $60 for the unit, in cash, on the spot. Should we accept his offer? No, because as long as we are able to keep a long-term perspective, we know that a 100 percent probability of getting $60 gives us expected revenue of only $60. Over 10 occurrences we would only get $600 following the “bird in the hand” strategy. Now, what if instead the customer in front of us was offering $80 cash for the unit. Is this offer acceptable to us? Yes; because his expected revenue (100% x $80 = $80) is greater than that of the potential passenger “in the bush”. Over 10 occurrences, we would get $800 in this situation or $80 per unit. We should never sell a unit of capacity for less than we expect to receive for it from another customer, but if we can get more for it, the extra revenue goes right to the bottom line. What would have happened in this case if we had incorrectly assumed that we “knew” certainty that the potential $100 customer would show up (after all, he usually does!). We would have turned away the guy who was willing to pay us $80 per unit and at the end of 10 occurrences, we would have $700 instead of $800. Thus we can see that by either ignoring uncertainty and assuming that what usually happens will always happen, or by always taking “the bird in the hand” we are afraid to acknowledge and manage everyday risk and uncertainty as a normal part of doing business, we lose money. The previous section gave an idea of the basic principle to be used in revenue maximization. In practice, the probability associated with a particular market segment is not fixed, but varies with time and with the number of units available for sale. There is an EMR curve like this for each market segment. Note that it will also vary based on time of the year, day of the week (i.e. whether the flight is on a weekend or not), and a whole bunch of other parameters. By looking at historical data, and correlating it with all the interesting parameters, Revenue Management software can estimate the EMR curve for each of your market segments. Now, for any given sale, first plot the EMR curves for the different market segments you have created, and find the point at which the rich guys’ curve crosses and goes under the poor guys’ curve. See the number of units (on the x-axis) for this crossover point and sell to the poor guy only if the number of units currently remaining is less than this. Due to this, almost all major Hotel, Car Rental Agencies, Cruise Lines and Passenger Railroad firms have, or are developing, revenue management systems. Other industries that appear ripe for the application of revenue management concepts include Golf Courses, Freight Transportation, Health Care, Utilities, Television Broadcast, Spa Resorts, Advertising, Telecommunications, Ticketing, Restaurants and Web Conferencing. Revenue Management software helps you with handling seasonal demand and peak/off-peak pricing, determining how much to overbook, what rates to charge in each market segment. It is also useful in evaluating corporate contracts and market promotions. And there are a whole bunch of other issues that make the field much more complicated, and much more interesting. So, if you found this article interesting, you must check out IDeaS white-paper on Revenue Management – it is very well written, and has many more fascinating insights into this field.